As liberal democracies include increasingly diverse and multifaceted populations, the longstanding debate about the role of the state in religious education and the place of religion in public life seems imperative now more than ever. The maintenance of religious schools and the planning of religious education curricula raise a profound challenge. Too much state supervision can be conceived as interference in religious freedom and as a confinement of the right to cultural liberty. Too little supervision can be seen as neglecting the development of the liberal values required to live and work in a democratic society and as abandoning those who within their communities wish to attain a more rigorous education for citizenship and democracy. This book draws together leading educationalists, philosophers, theologians, and social scientists to explore issues, problems, and tensions concerning religious education in a variety of international settings. 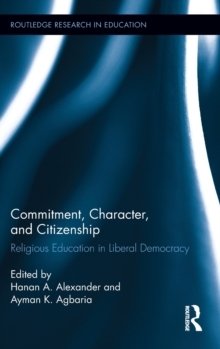 The contributors explore the possibilities and limitations of religious education in preparing citizens in multicultural and multi-religious democratic societies.